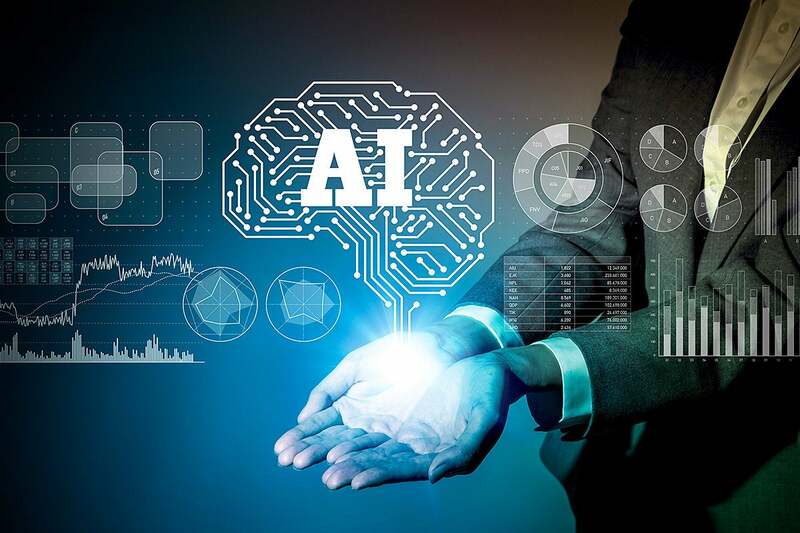 While many companies continue to explore AI business cases, seek executive support and mature their foundational IT and data capabilities, a growing number of enterprises – including Walmart, Western Digital, Bank of America, 7-Eleven and Pearson – are deploying the technology at scale. This article was co-written by Chris Davis and Brandon Metzger. From detailed homework review to back office automation, progress in artificial intelligence will continue to explode in the year ahead. In 2018, Metis Strategy interviewed nearly 40 CIOs, CDOs and CTOs of companies with over $1 billion in revenue as part of our Technovation podcast and column. When asked to identify the emerging technologies that are of growing interest or are making their way onto their 2019 roadmap, 75 percent of the technology leaders highlighted artificial intelligence, while 40 percent said blockchain and 13 percent cited the Internet of Things. AI, an umbrella term for technologies that enable machines to accomplish tasks that previously required human intelligence, could rapidly upend the competitive landscape across industries. While many companies continue to explore AI business cases, seek executive support, and mature their foundational IT and data capabilities, a growing number of enterprises are deploying the technology at scale. Walmart, the world’s largest company by revenue, has deployed more than 500 bots into its internal environment to automate processes and drive efficiencies, CIO Clay Johnson said. Early use cases focused on automating processes such as accounts payable, accounts receivable, and compensation and benefits. More recently, robotic process automation (RPA) has been applied to Walmart’s Shared Services organization, where it automates ERP exception handling such as matching purchase orders to invoices. As expectations rise for technology to unlock business value, Clay is looking to scale AI across the company. Having recently adopted a product model and end-to-end ownership, the company is well positioned to apply machine learning to everything from merchandising operations, which coordinates supplier-relation interactions and affects the in-store displays across more than 5,000 US stores, to improving the productivity of the world’s largest private workforce. For more insight from Clay, listen to the podcast. With a global workforce of 68,000, Western Digital has built a big data and analytics platform that supports a variety of workloads, architectures, and technologies to deliver value to business users of all skill levels. While entry-level analysts can leverage the platform to visualize data in Tableau or perform ad-hoc queries in RStudio, data scientists can make use of advanced techniques to monitor and optimize manufacturing and operations capabilities. As Western Digital finds increasingly advanced AI use cases in 2019, its flexible platform ensures that the organization continues realizing value while its analytics capabilities mature. For more insight from Steve, listen to the podcast. As companies race to develop and deploy increasingly powerful AI systems, there’s a growing recognition of the responsibility companies have to mitigate unintended consequences. Internet pioneer Vint Cerf and former FCC CIO David Bray have noted that engineers often don’t have the capacity to fully imagine the implications of the technology they develop. That’s one reason why Bank of America (BoA) Chief Operations and Technology Officer Cathy Bessant has teamed up with Harvard Kennedy School to create the Council on the Responsible Use of AI. While BoA’s most visible application of AI may be Erica, its virtual banking assistant, the Fortune 25 company is increasingly exploring how AI can be applied to fraud detection and anti-money laundering. As proponent of “responsible automated intelligence,” Cathy recognizes that the bank must maintain transparency into the decision-making models and ensure that outcomes are unbiased. Further, as employees begin to question how AI might impact their jobs, Cathy is thinking proactively about how to guide career transformation and development in the age of AI. To explore these critical questions, the Council on the Responsible Use of AI will convene leaders from government, business, academia, and civil society, including Bessant, to discuss emerging legal, moral, and policy implications of AI. For more insight from Cathy, listen to the podcast. 7-Eleven defined convenience for a generation, but today, the most convenient storefront is the one in consumer’s pockets. In a 2018 interview, CIO/CDO Gurmeet Singh discussed how the company uses new technologies to reduce friction for customers and improve their overall experience. 7-Eleven thinks about technology in two broad categories: proven technologies that are ready to scale, and emerging technologies. For emerging technologies, the company has adopted a fast follower approach, which Gurmeet describes as “watch closely and actively experiment.” In addition to operating several global R&D labs, Gurmeet has tasked the company’s CTO with testing new technologies and conducting proof-of-concept tests. Already, 7-Eleven has deployed a Facebook Messenger chatbot that allows users to sign up for the 7Rewards® loyalty program, find a store location, learn about the latest discount offers, and more. The bot, which was developed through a partnership with the tech firm Conversable, is part of Gurmeet’s strategy to redefine the customer experience through technology. In 2019, 7-Eleven’s technology organization will leverage open-sourced AI libraries such as TensorFlow to explore how AI can streamline back-office processes such as merchandising and operations. They’ll also look to apply voice interfaces to redefine the customer experience. For more insight from Gurmeet, listen to the podcast. For more insight from Albert, listen to the podcast.